The combined results for SwimSafe Da Nang’s activities for 2012 are very promising and show continual growth and acceptance of this much-needed program. Two results in particular need to be highlighted – student numbers and student age. Obviously, the more children who receive water safety skills the better, and despite SwimSafe Da Nang’s target of 6,000 students, 7,477 children received swimming and water safety lessons in 2012 – a number that has continued to increase from 4,724 in 2009. Secondly, younger children drown more frequently than older children so an emphasis on younger children will prevent more child drowning deaths in coming years. Sixty percent of children taught were aged 6–9. Additional results have also been very promising. SwimSafe Danang has a target pass rate of 85 per cent, but saw an overall pass rate of 89.9 per cent, another figure which has continued to improve since an initial 41 per cent in 2009. Additionally, boys represented 54 per cent of total students and girls 46 per cent, giving a fairly even mix. Despite these results, there are shortfalls. Approximately 13,000 children enter Da Nang’s primary school system each year, meaning that SwimSafe is currently only reaching half the number of students. SwimSafe was supported by AusAID but desperately needs funding and donor support for 2013 and beyond. Donations can be made via the Global Drowning Fund. 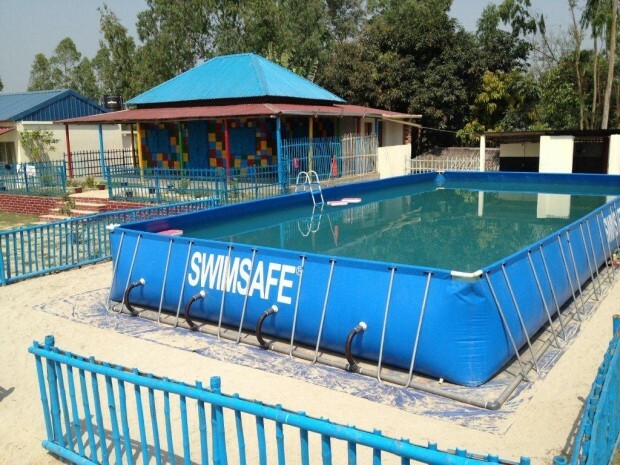 Three of SwimSafe Danang’s portable pools are located outside the city in rural locations. 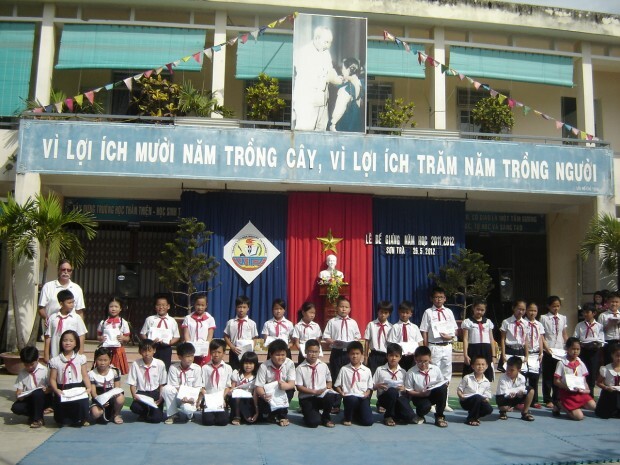 The furthest of the three locations, Hoa Khuong school, is located 20 kms outside of the city. Rural areas in Vietnam have a higher number of open water sources than the urban areas, so learning survival swimming skills for children in the rural areas of Danang is vitally important to reduce their risk of drowning. Several schools have scheduled academic classes in such a way that they will not conflict with swimming lessons during the vacation period. This initiative of the school principals helps to ensure that all classes are full with interested students. All three rural venues, Hoa Khuon, Hoa Tien and An Phuoc have excellent attendance in the classes throughout the day. Response to the program in these rural areas has also been overwhelmingly positive and highlights the need for survival swimming skills. At Hoa Tien school, a father who was watching his 8 year old daughter’s lesson said he had pulled her out of a pond when she was a toddler. He was quite surprised when she started the lessons that she wasn’t afraid of the water, but he was very happy the school was giving the lessons now. At teacher at An Phuoc school said the pool had added an important activity to their school and was positively affecting the summer vacation of the students. If you would like to support the SwimSafe program in teaching life saving swimming and water safety skills to children in Vietnam, Bangladesh and Thailand please visit the Global Drowning Fund. Since its inception in 2006, a total of 213, 985 children have graduated from the SwimSafe program in Bangladesh. In 2012, another 80,000 children will learn the lifesaving skills of survival swimming. In Bangladesh children often learn to swim in unsafe open water bodies without qualified swimming instructors or lifeguards. Drowning has been found to be a significant problem in Bangladesh. The ground breaking Bangladesh Health and Injury Survey (BHIS) revealed that drowning is the leading cause of death for children aged 1 to 17 years, with approximately 18,000 children drowning each year, or 50 per day. 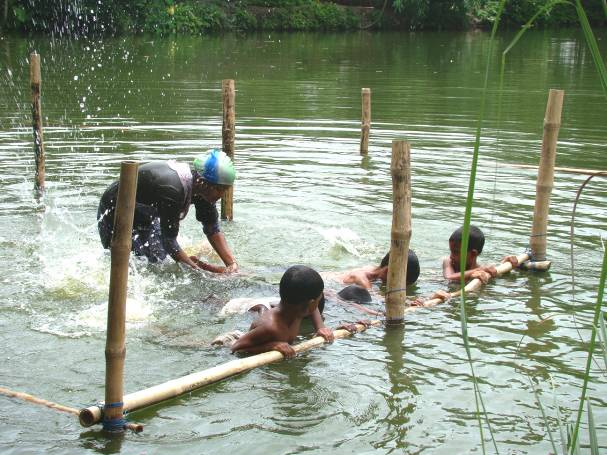 In rural areas, children learn to swim in ponds which have been modified by installing a bamboo structure as a safe venue for teaching swimming. The structure has a ramp entry into the water and a shallow water platform for children to practice skills before advancing to deeper water. In urban areas, children learn swimming in portable pools. Two such pools have been installed in two different locations in Dhaka. Teaching is conducted by Community Swimming Instructors (CSIs) who have been chosen from the community based on their swimming skills and their willingness to volunteer as instructors. If you would like to support the SwimSafe program in teaching survival swimming skills to children in Bangladesh you can donate directly to the program via the Global Drowning Fund. Teaching during the school vacation period has begun at all SwimSafe venues across Danang with demand outweighing supply at almost all locations. At Son Tra Beach, one of two open water teaching locations, classes commence at 5:15 in the morning with a class of 50 children. The second class of the day commences at 6am with a total of 68 children participating. Due to demand a third class in the morning has been added to the program’s schedule allowing additional children who wish to participate an opportunity to get involved. Classes cease during the hotter part of the day and recommence in the later afternoon and early evening. Instructors have said that the children attending classes at the beach are less likely to be scared of water as often they live nearby and attend the beach regularly with their families. Children who attend lessons in the portable pools often need some time in their early lessons to become familiar with the water as they may have had very little interaction with water prior to starting their lessons. Both Son Tra and Thanh Khe beaches, have a mixed instructor team that includes both beach lifeguards and primary school instructors. All have received training in the SwimSafe curriculum, and now, as blended teaching teams, are sharing more of their different water experiences with each other and with the children. Because of the large demand for places at the beach venues this year and because mornings are when the lifeguards normally need to be patrolling the beaches for safety, each venue has more teachers serving as instructors than lifeguards. So far, this blend is working well together at both venues. As can be seen from the image below, even in their fourth year of operation, classes are still quite a spectacle and draw spectators as well as the participant’s parents who stay to watch their child’s lesson. If you would like to support the SwimSafe program in teaching survival swimming skills to children you can donate directly to the program via the Global Drowning Fund. The unofficial first teaching period of the SwimSafe Danang program has been completed with a total of 585 children graduating from the program. The pass rates were extremely pleasing in at all teaching venues. Boys and girls are evenly represented in the pre-program cycle, with 36% of participants aged between 6 and 9 years old. A heavier demand for the program this year, has seen extra lessons added at a number of venues and the expansion of one of the open water teaching locations, at Son Tra Beach, to allow more teachers (and therefore students) to teach during a lesson. The SwimSafe program has now been officially launched for 2012, with official support from the Department of Education and Training (DOET) provided in a city wide meeting. Local television coverage was also generated for the launch. Unfortunately we are again reminded of the dire need for programs that teach survival swimming and water safety skills in Vietnam with three children drowning in Quang Nam province, just south of Danang. The children, two aged 7 years and one aged 9, drowned in a river on June 1st. 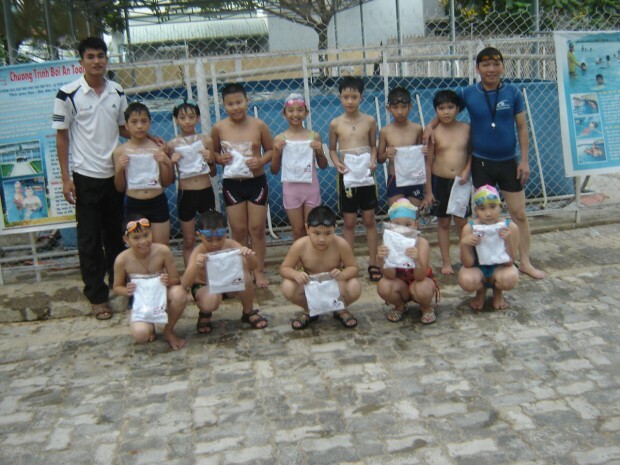 If you would like to support the SwimSafe program in teaching survival swimming skills to Vietnamese children you can donate directly to the program via the Global Drowning Fund. Schools who commenced the SwimSafe program ahead of the traditional summer vacation commencement continue to see children graduate from the program. As at May 28th, 10 of the 11 venues that started teaching early have completed testing of their students. A total of 542 children have completed and graduated from the SwimSafe course so far this year. Students who complete the SwimSafe course are given a t-shirt and their achievement certificate. Many of these graduation ceremonies occur during whole of school ceremonies and meetings which have brought the SwimSafe program to the attention of local government official and parents. The official first cycle of teaching has commenced at all venues, with many schools holding opening ceremonies and inviting both parents and student along. Principal Quyet of Be Van Dan Primary School, in Thanh Khe district, spoke to both students and parents about the importance of swimming and water safety. He also mentioned two other local schools without pools in the area, that had been invited to send students to Be Van Dan school to participate in the program. The beach venue in Thanh Khe, has also commenced its first classes for Cycle 1. With a 5:30am start time, these classes are in high demand, with six different primary schools in the district contributing students to the classes. To support the SwimSafe program by making a donation, please visit the Global Drowning Fund website. 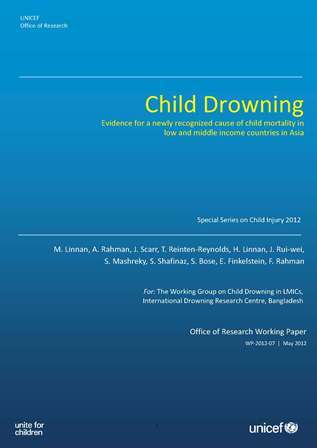 A report released by The Alliance for Safe Children and UNICEF Innocenti Research Centre reinforces the notion that child drowning is a hidden epidemic across many countries in Asia. The report titled Child Drowning – Evidence for a newly recognized cause of child mortality in low and middle income countries in Asia is the second in a series which first pointed to the magnitude of child injury deaths across five countries; Vietnam, Bangladesh, China, the Philippines and Thailand. This new report focuses specifically on drowning, outlining evidence that it is a bigger problem than official records show, that there are now interventions proven in the LMIC context, and outlining the challenges of raising national, regional and global action. Much of the report is based on research conducted with partners – the Centre for Injury Prevention and Research – Bangladesh. Child drowning in Bangladesh, especially in rural areas, is up to 40 -50 times higher than rates evidenced in high income countries such as Australia. When first recognised, child injury experts knew that carefully planned, monitored and researched interventions were urgently needed. The report outlines interventions including SwimSafe – a survival swimming program that is being delivered by TASC, Royal Life Saving and partners in Bangladesh, Vietnam and Thailand, as well as the provision of crèche programs to protect children aged 0-5 years prior to school entry. Australian drowning prevention organisation, Royal Life Saving Society – Australia has been a partner in this ground breaking research since its inception in 2005. “Initially the focus was on building a swimming and water safety program that could be delivered in an environment without pools, instructors, community awareness or lifesaving organisations. We are pleased that the program is now almost entirely self-sufficient. There are now Bangladesh and Viet Nam SwimSafe Instructors that would do very well in an Australian Swim School” said Justin Scarr, Co-author and Chief Operating Officer, Royal Life Saving Society – Australia. Whilst the program in Bangladesh has been supported by UNICEF Bangladesh, it was the Australian Government who recognised the importance of continuing this child drowning research in recent years. “The Australian Government has shown true leadership in the prevention of drowning in developing countries. Through AusAID, it has supported an International Drowning Research Centre in Bangladesh, is funding drowning prevention programmes in Bangladesh and Viet Nam and sponsored the 2011 World Conference on Drowning Prevention in Danang, Viet Nam,” said Mr Scarr. Components of the TASC/UNICEF report were presented at the World Conference on Drowning Prevention 2011 held in Danang, Vietnam. Delegates to this conference, hosted by RLSSA and TASC debated the need for increased collaboration in order to elevate the drowning issue at national, regional and global levels. 2) Emphasize the linkages between drowning and injury prevention with early childhood development. 3) Support drowning-prevention programme integration (survival swimming, for instance) with on-going public health programmes across sectors such as maternal and child health, education, disaster risk reduction, rural development, water and sanitation. All these sectors have existing infrastructure and capacity. 4) Develop and initiate public awareness campaigns targeting children, caregivers and communities. Campaigns should take into account the two separate epidemics of child drowning: that which affects children under age four, which requires a focus on parents and other caregivers; and drowning among older children, which happens further from home in the community and require a focus on children themselves. Use community-based methods in order to get an accurate count of drowning deaths. Include drowning as an indicator in mortality and health surveys. There is a need for the inclusion of drowning indicators in programme management systems at national, regional and global levels. 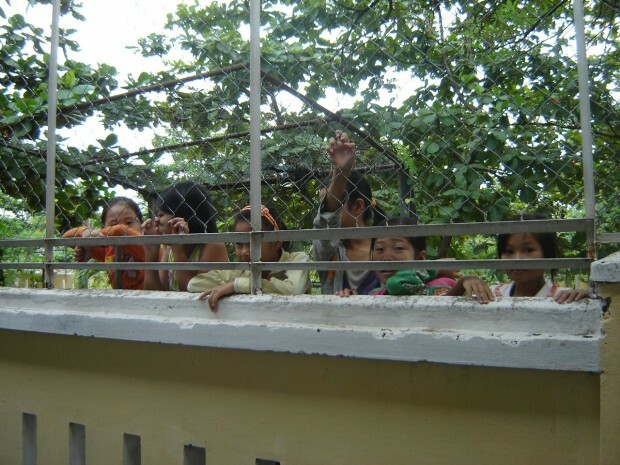 To support child drowning prevention in Asia please visit the Global Drowning Fund website. The SwimSafe Danang program has already seen children graduate from its pre-program cycle. 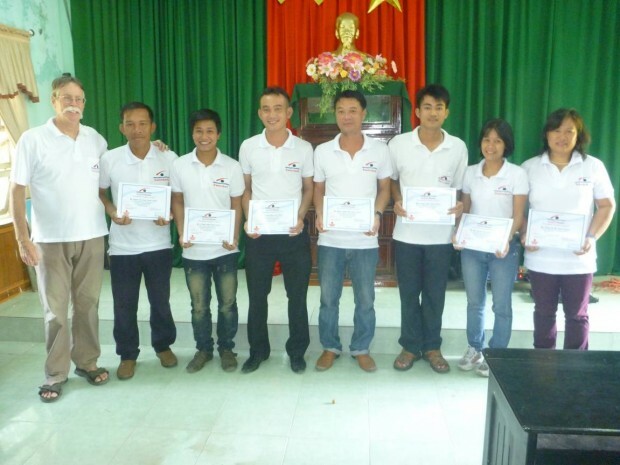 On May 9th, 19 of 44 students in the pre-program cycle graduated early at Phu Dong school. Several other schools have also completed their pre-program 20 lesson cycle. These are schools who have decided to run classes prior to the summer vacation break and the official commencement of teaching for SwimSafe 2012. Swimming Skills (including enter the water safely, swim 25 metres and exit water safely). A recent change to the program has been a mid-program test of skills. This serves as both a practice for students prior to the test in the final lesson and a marker for instructors to assess children’s abilities. A recent decision allowed for children who could pass the test mid program (lesson 15 to 16 of 20 lessons) to graduate, allowing the instructor to devote more attention to children who need extra help in order to be competent. 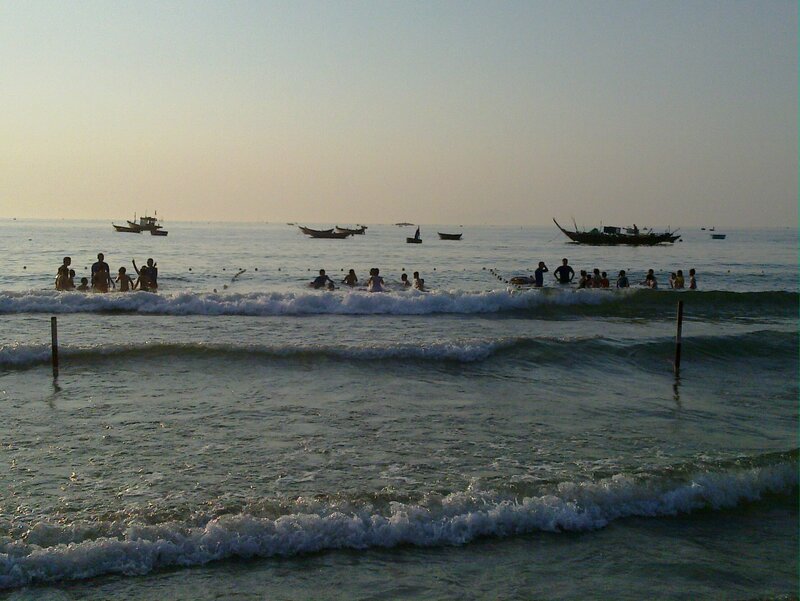 The SwimSafe program for 2012 has commenced early at Son Tra Beach, one of two open water training venues used by the SwimSafe program in Danang. Teaching commenced on May 2nd, with 80 students in attendance, with the first class commencing at 5:15am. The large number of students participating has required the cooperation of accredited SwimSafe teachers from both the beach lifeguard service and from local primary schools in the area. This coordination has resulted in a ratio of 4 students to 1 teacher being maintained at all times to ensure the safety of the participants. 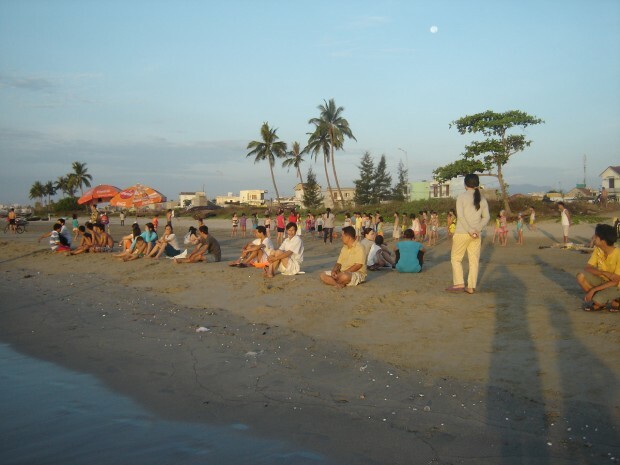 Both open water teaching locations, Son Tra Beach and Thanh Khe beach on the Danang Bay, recruit students from nearby schools that do not have portable pools. Due to the need to transport students to the beach, in the four year history of the SwimSafe program there has never been an early start to instruction at a beach venue. However, public support, in Son Tra, as well as the work from the Son Tra District Education Officer has generated support for an early class starting before the summer holidays commence. The SwimSafe team offers its congratulations to Son Tra District Education officer, Mr Tien for generating the support to commence early instruction and to the Son Tra Lifeguard Service for their early support of the program at the beach. 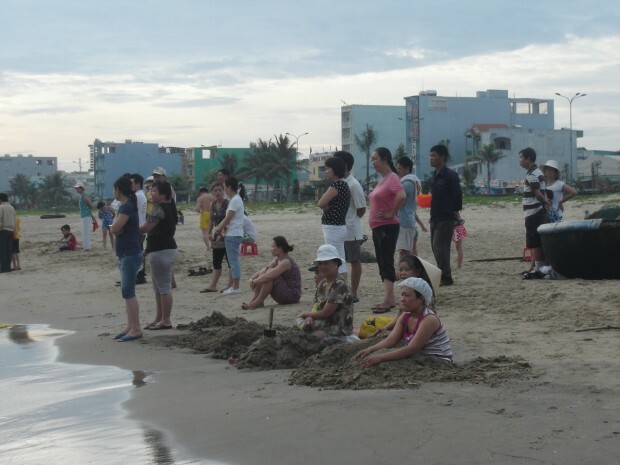 Thanh Khe District Beach will commence instruction along with the remaining SwimSafe venues on May 21st. The SwimSafe program in Danang has long enjoyed the support, expertise and enthusiasm of its senior trainers. These 7 senior trainers were identified as natural leaders from the first year of the program and each of them is in charge of a specific program location and the instructors that teach at that location. Their exceptional commitment and contribution to the program since 2009 has been recognised with certificates this week. The senior trainers have produced 20 hours of training for the whole SwimSafe program already in 2012. They have each put between 10 and 15 additional hours of work in to preparing for these training workshops. Feedback forms circulated at the training workshops held last week, reported very positive comments as to the content and nature of the training presentations and their relevance to this year’s upcoming season. The excellent work of the senior trainers, the broader team of 110 instructors and the program staff all point to a successful 2012 season for SwimSafe Danang. The Danang Department of Education, the local operational partner, will officially launch the program in May with venue principals and district education officers involved.